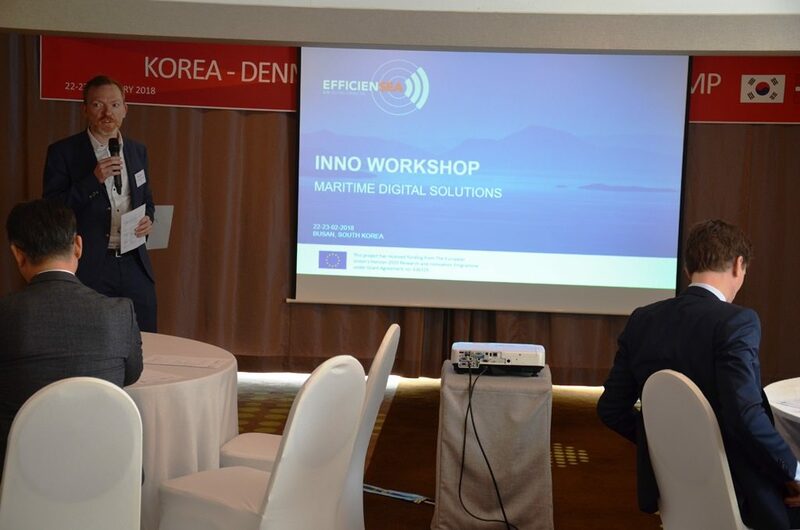 Human factors, new standards for hydrographic data and how best to exploit data were in focus when Korean and European organisations met up in South Korea to collaborate based on the results from the EU-funded project EfficienSea2. 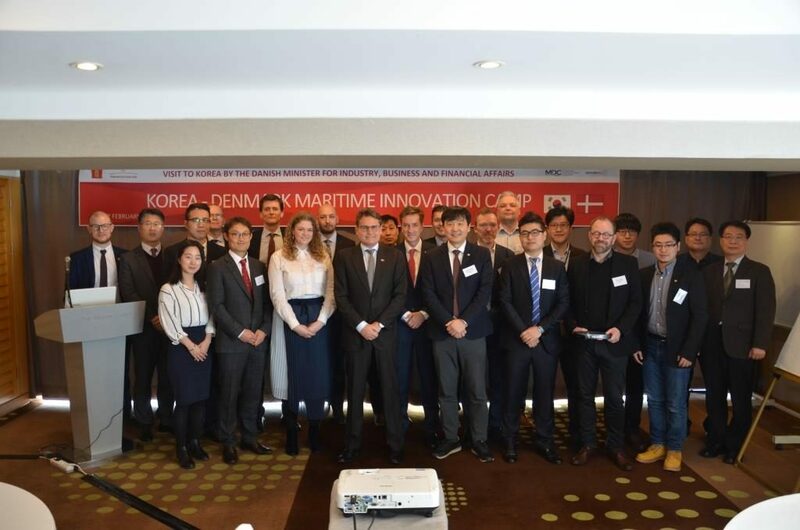 Last week a number of EfficienSea2 partners went to Busan, South Korea, to take part in an innovation camp set up by the Danish Maritime Authority, the Maritime Development Centre and Innovation Centre Denmark in Seoul. The workshop was opened by Brian Mikkelsen, Danish Minister for Industry, Business and Financial Affairs. On top of European partners, the workshop also had Korean stakeholders such as KJ Engineering, San Engineering, Korea Research Institute of Ships & Ocean Engineering, Korea Advanced Institute of Science & Technology and the Korea Hydrographic & Oceanographic Agency. 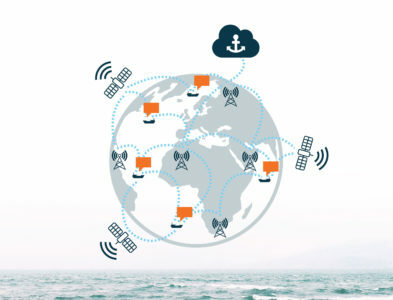 The main topics for the workshop were the MCP (Maritime Connectivity Platform), the S-100 standards and how human factors played a role in maritime digitalization. Throughout the innovation camp which lasted for two days, the participants had opportunities to work both in plenary and in smaller working groups. One issue first being discussed in a smaller working group and then carried to the plenary was how to exploit the data models being developed within EfficienSea2. “It became obvious, that while some parts of EfficienSea2 are instantly usable in the real world, other solutions are still some distance away from being operational. 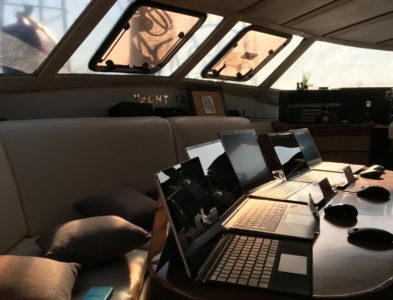 This however, does not preclude the data from being used in for example maritime training and some of our workshop-participants have some very interesting ideas in that regard,” says Ann Lemming. The solutions being discussed in Korea was just a fraction of the many things being developed in the EfficienSea2 project. 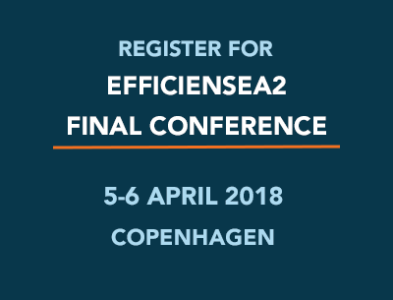 The full range of solutions and services will be demonstrated at the EfficienSea2 final conference on April 5-6 in Copenhagen.